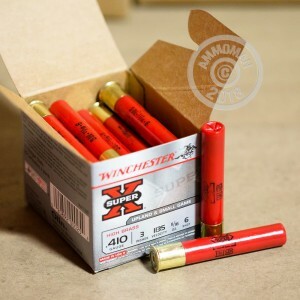 These 410 bore shotshells from Winchester work well for small game hunting when overkill is a concern. 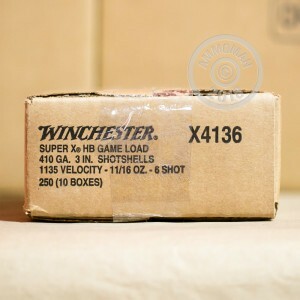 Each 3" shell in this box of 25 fires 11/16 oz. of #6 shot at a muzzle velocity of 1,135 feet per second. 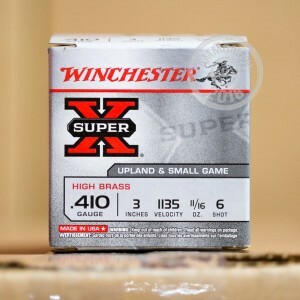 Winchester Super-X shotshells are made in Oxford, Mississippi and use reliable 209 primers and one piece hinged wads designed to enhance patterning.